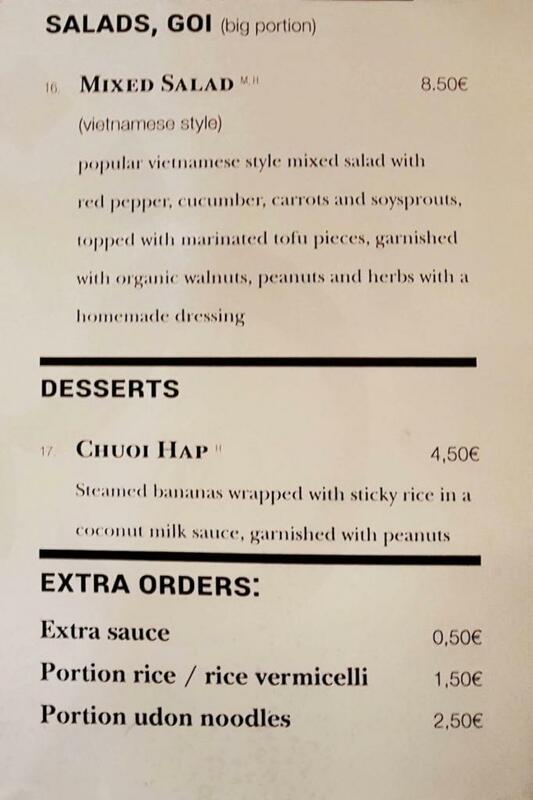 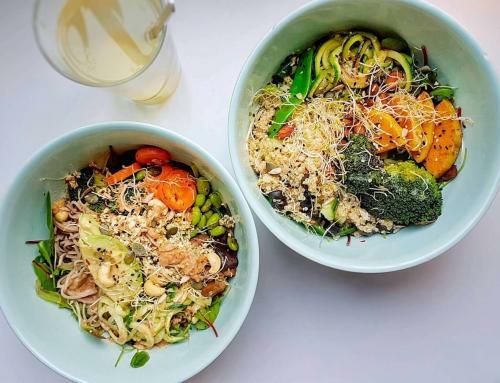 Quy Nguyen – Vegan Living is a 100% vegan Vietnamese restaurant near Hackescher Markt serving soups, noodle and rice dishes, desserts, as well as smoothies. 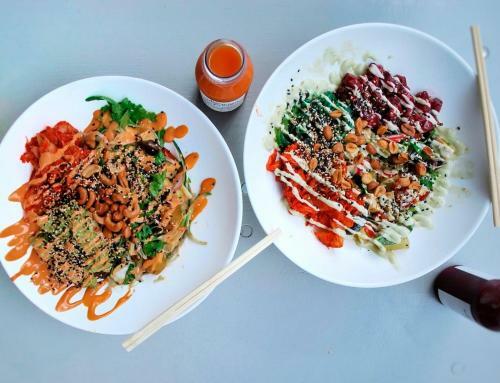 Re-opened in the end of 2017 near Hackescher Markt after moving from Kreuzberg, QN Vegan Living is a stylish Asian restaurant, entirely focused on a plant-based cuisine. 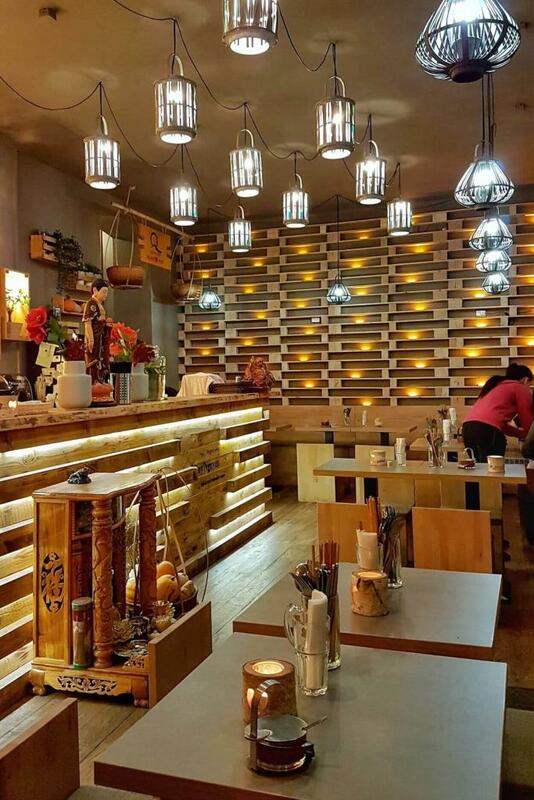 The interior is furnished with modern dimmed lights, low and modest chairs and tables, as well as beautiful wooden wall decoration. 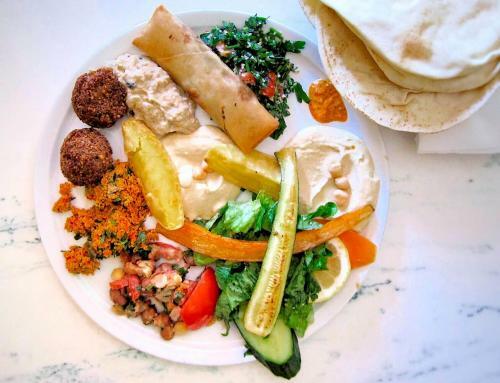 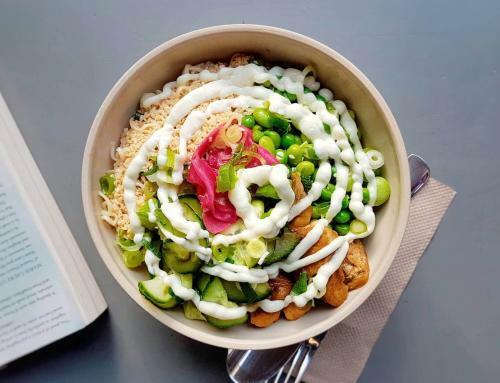 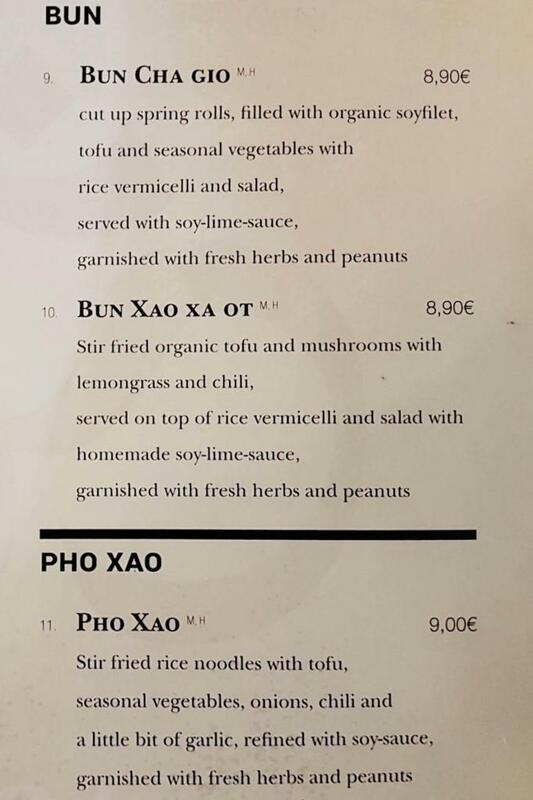 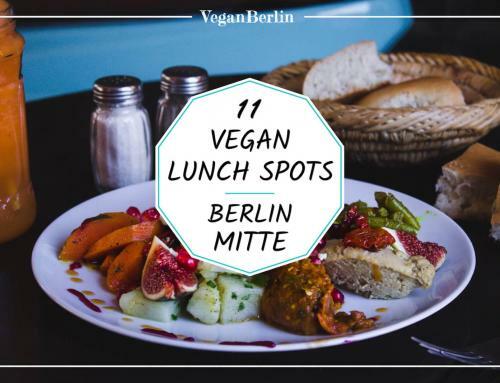 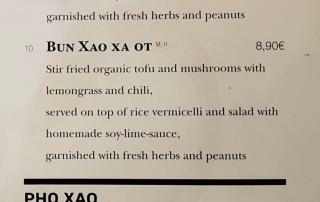 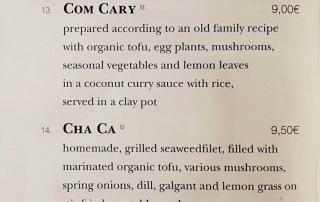 The menu looks somewhat similar to the one at SOY or Hum vegan cuisine in Prenzlauer Berg, but covers all the favourites in addition to a couple of specialities. 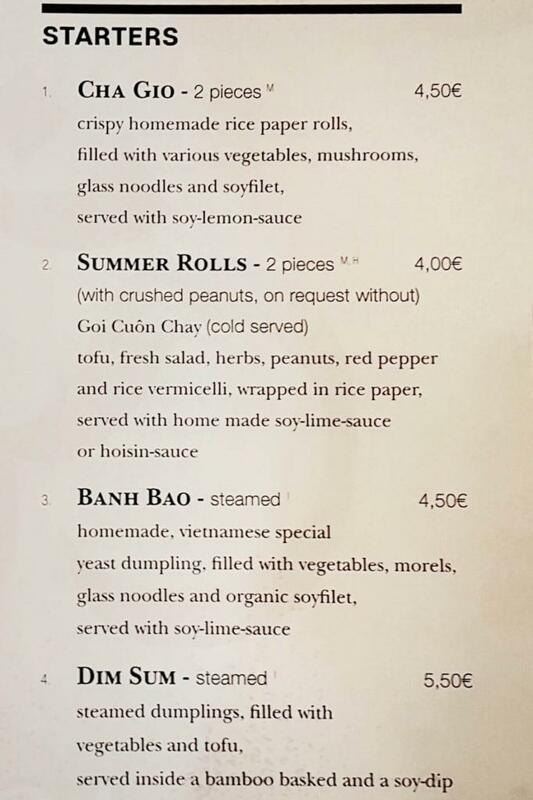 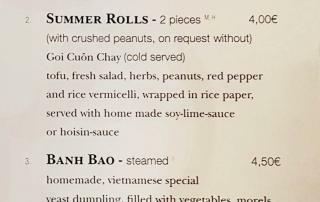 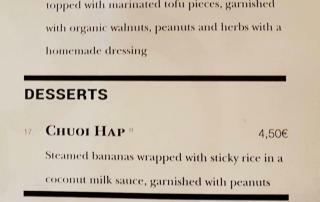 Starters include classics such as summer and spring rolls, but also specials such as a filled banh bao or vegan dim sum. 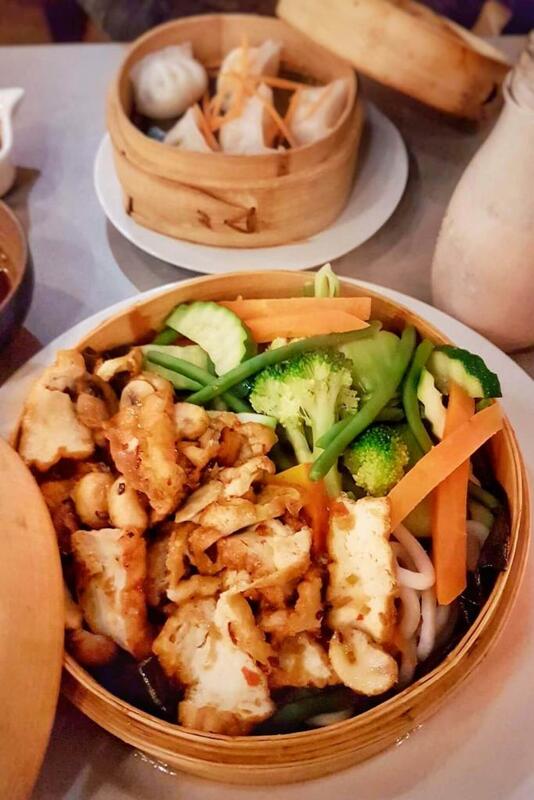 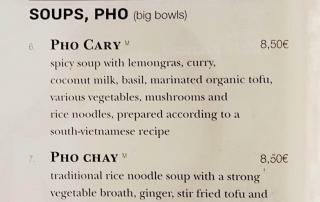 Pho is served in different variations, rice and noodle dishes come with spring rolls or stir-fried tofu, steamed dishes include (one of our favourites) Udon-noodles with vegetable and tofu served with a homemade soy sauce. 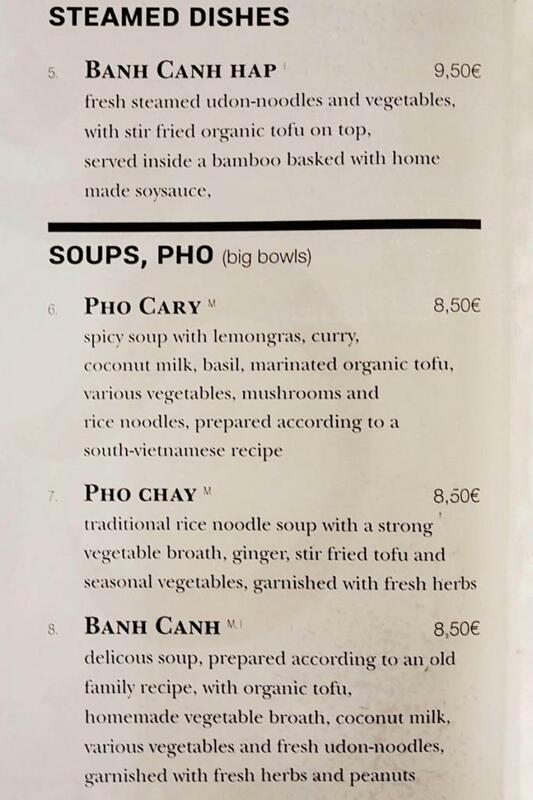 Prices are average for the area and Vietnamese restaurants in Berlin. 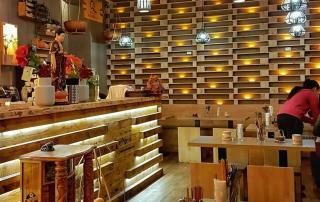 Food is served quickly and the staff is generally friendly. 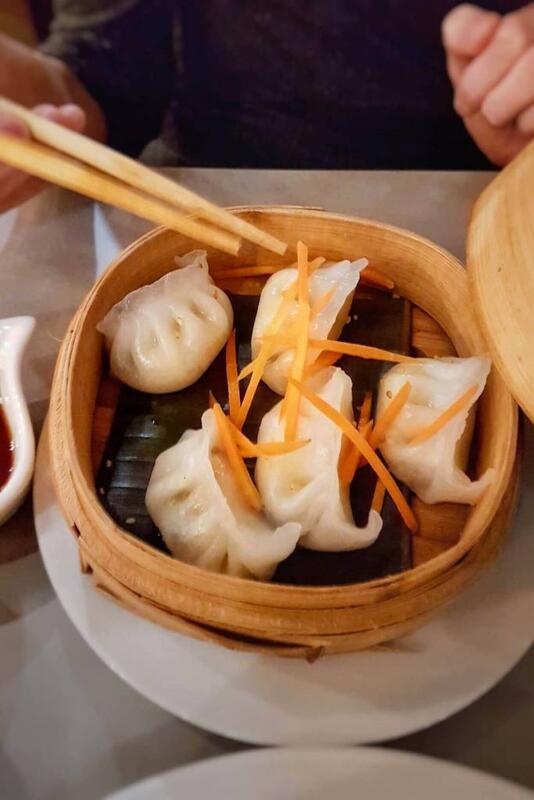 We very much enjoyed the quality and taste of the food and would definitely come back. 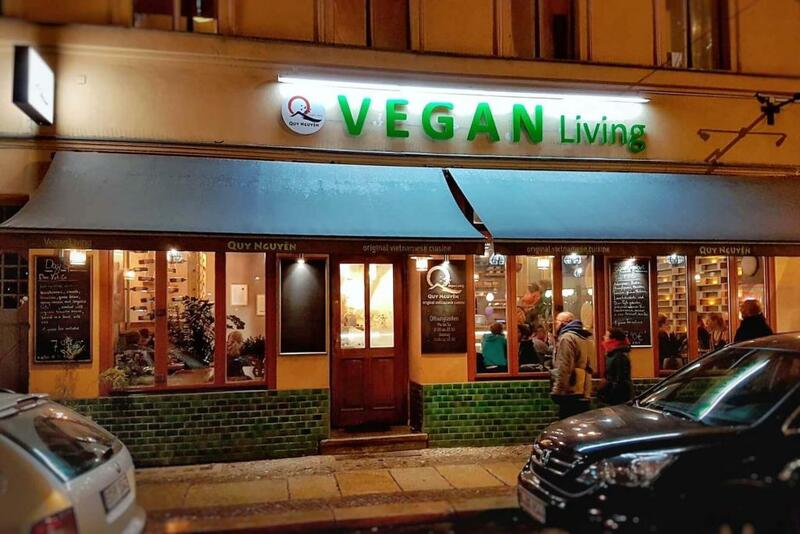 There are about 40 seats inside and a couple of tables outside. 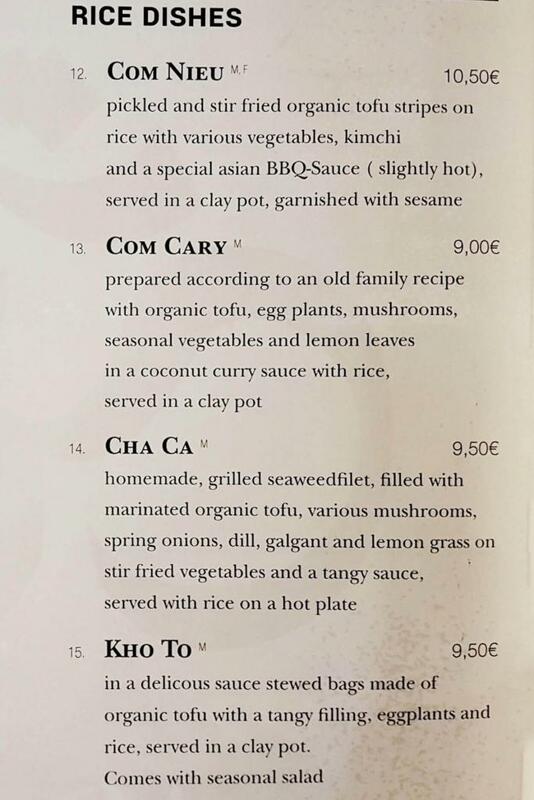 As it might be busy in the evening, make sure to make a reservation. 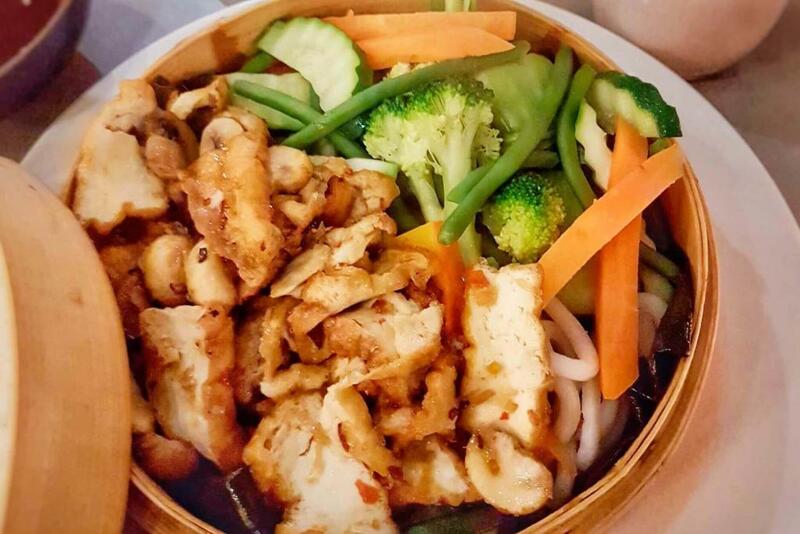 We recommend the steamed Udon noodles and a smoothie. 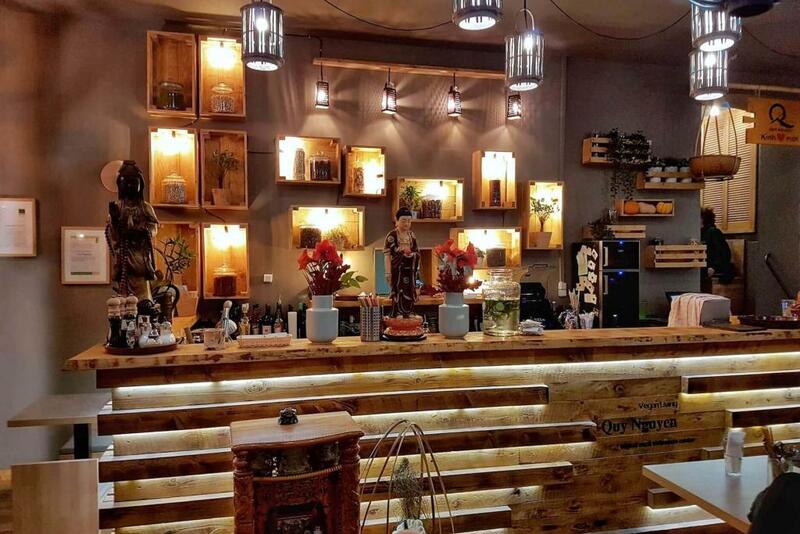 We visited “Quy Nguyen Vegan Living” in January 2019.